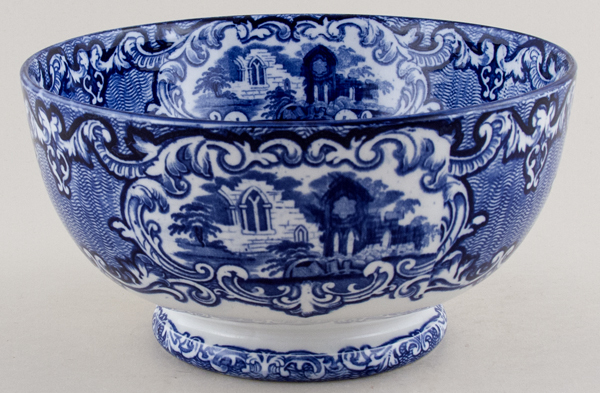 Round bowl beautifully decorated both inside and out and standing on a small foot. Item AB43 in the 1920s George Jones catalogue, this being the 4th of 6 sizes. Backstamp: Abbey 1790 England G Jones & Sons. Inside there is some surface scratching otherwise excellent condition.